. Watercolour by Ossie Jones. There were 4 ships in the class, BULLDOG, BEAGLE, FOX and FAWN and they all commissioned in 1968. They were 189 ft long overall, had a displacement of some 800 tons and their 4 Lister Blackstone diesels gave them a service speed of 15 knots. 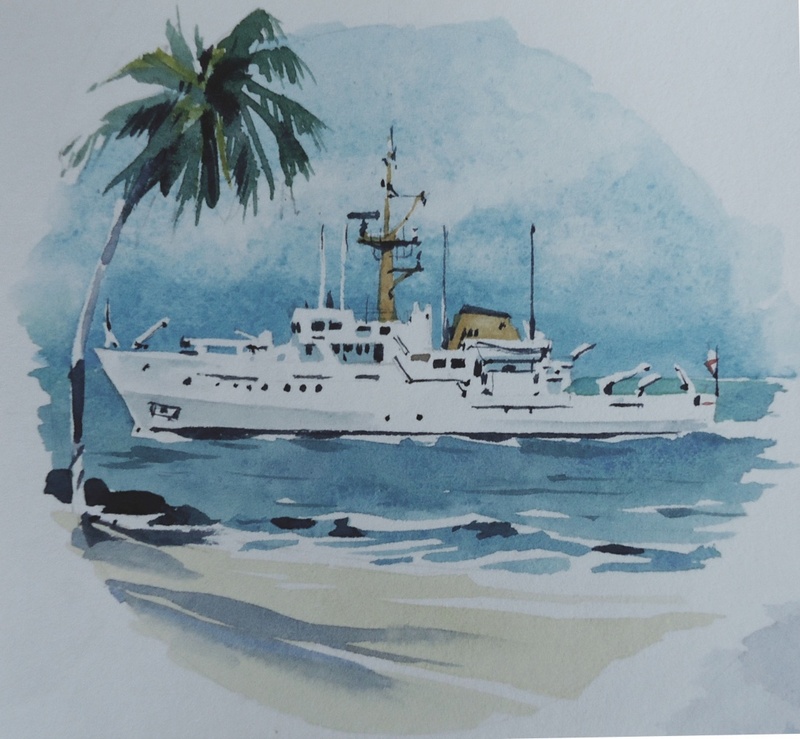 Essentially coastal survey vessels they were hard worked in the 1970s and 1980s carrying out route and port approach surveys, complementing the more open ocean work undertaken by their 4 larger sisters of the Hecla Class.